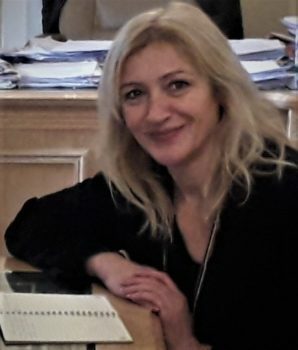 Lina Manolopoulou, in charge of the Promotion of the Production Incentive Program in Greece implemented by the National Centre of Audiovisual Media and Communication (EKOME SA) and Project Manager of the Film Offices Network. She is responsible for assisting and facilitating international and national producers, providing eligibility for the Incentive as well as participating in selected missions and film markets worldwide to increase interest of the audiovisual industry and promoting Greece as a filming destination on the international scene. Lina has more than 25 years of experience in the audiovisual industry and holds a bachelor’s degree in Marketing. She previously worked for the Greek Film Centre as a Promotion/Sales and Production executive and was actively involved in the creation of the Hellenic Film Commission in Greece.